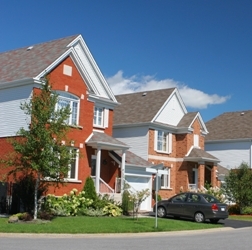 Overall market share for Canada’s mortgage brokers remains steady in 2011 at 23 per cent, although, according to the latest CMHC poll of consumers, they continue to attract just under 40 per cent of home purchase transactions. for first-time buyers, 32 per cent for repeat buyer (all buyers was 39 per cent), 25 per cent for refinancers, and 15 per cent for renewers," reads the 2011 Mortgage Consumer Survey, released by the Crown corporation on Wednesday. The results are a snapshot of consumer tastes, attitudes and preferences as expressed in an online survey of 2,503 recent mortgage buyers last February. Each respondent was “a prime decision-maker” in what, last year, became a more confusing process thanks to new qualifying. Overall, respondents who used a broker for their most recent mortgage transaction have positive perceptions of that broker, and about 82 per cent agreed that the mortgage professional had taken the time to fully understand their financial situation and mortgage needs. According to mortgage consumers, the benefits that mortgage brokers offer are that they are able to get the best deal or rate for their clients, they are convenient, and they offer time-savings when obtaining a mortgage. The survey results jive with CAAMP data, with both point to the same kind of industry trends, most notably, relatively stable year-over-year market share for brokers. Of the 2,000 Canadian consumers interviewed for CAAMP’s spring survey report, “Stability in the Canadian Mortgage Market,” 55 per cent of homeowners said they consulted a mortgage broker before signing off on the biggest purchase of their lives, sometime in the 12 months prior to the April poll. That figure is actually up from 2010, when 53 per cent answered the same way. But when it came time to commit to a mortgage, only 27 per cent did so through a broker, down from the 30 per cent who used a mortgage broker to buy their home a year earlier. In terms of renewals, refinances and transfers, this spring's CAAMP survey suggests 35 per cent of Canadian buyers consulted a mortgage broker, although only 19 per cent would ultimately obtain that mortgage through a broker. Last spring’s report captured a slightly different snapshot, with 20 per cent using a broker to obtain that loan, although 40 per cent turned to a mortgage broker during the deliberation stage. The timing of the CMHC results should provide brokers something of lift as they face increasingly fierce competition with the banks on rates. More and more, brokers are looking to shift that debate to customer service, a boast this latest poll may back up. Family and friends were, in fact, the key source of broker referrals, at 36 per cent. “This indicates the important role clients’ family and friends play as a referral source for mortgage brokers, as well as the importance of word-of-mouth referrals,” says CMHC.